A bank is where we put our full trust and confidence that our savings, possessions, and important valuables are safely protected. However, because banks hold huge amounts of money and possessions, they are subject to various security threats, robberies, and other criminal activities. 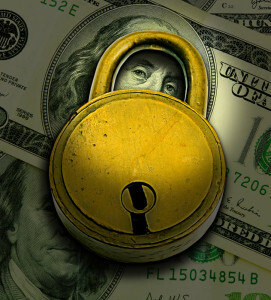 Bank safety is important to gain the trust and continued patronage of every client. Knowing that you can safely make your everyday transactions not only facilitates trust, but it also helps you sleep just a little better at night knowing that your assets are protected and secure. Most banks are required by law to install a CCTV camera to properly monitor all priority banking areas on a 24/7 basis. Aside from ensuring that their clients’ savings are in good hands, it also boosts the bank’s confidence and ensures their employees that they are in a safe working environment. Bank security personnel can also monitor high-risk areas even if they are not physically present through the recorded videos stored in the banks security files. This data can then be used as evidence if the need arises. The recorded footage proves to be a very effective tool that aids in criminal investigations and acts as strong evidence presented during court proceedings. When it comes to securing high-risk places like banks, the need for an Integrated Security Systems arises. Physical Security Information Management (PSIM) holds the ideal solution to all bank safety needs. PSIM is a security software with the purpose of integrating a wide range of multiple unconnected security devices to gain access, control, and monitoring through a comprehensive and easy-to-navigate user interface. PSIM effectively collects events gathered from a wide selection of security devices and information systems like videos, sensors, analytics, networks, and more. It helps coordinate and keep all security files in sync with the security devices connected to the main server. Security personnel area can then effectively monitor and ensure complete bank safety. In the event of a bank robbery and/or major threat to bank safety, an emergency lockdown procedure is applied. Security personnel are able to monitor activity through the CCTV cameras, and the head of the security can initiate or order a lockdown to secure all entrance and exit points of the bank. The PSIM software then coordinates all connected devices for the cameras, doors and safes while helping facilitate a lockdown that will keep clients and employees safe. OSSI is the world leader in security integration and PSIM solutions, which helps keep bank employees, clients and assets safe. For more information in implementing PSIM, give us a call at (888) 488-2623.